Yes. In both clinical research and in dental practices around the world, Invisalign has been proven effective at straightening teeth. Over 1.5 million patients have been treated or are currently in treatment. More than 44,000 dental professionals are trained in the use of Invisalign. 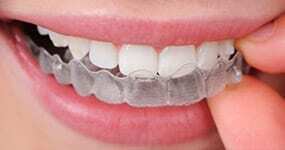 Aligners are made of clear, strong, medical grade, non-toxic plastic that is virtually invisible when worn. Aligners are nearly invisible and look similar to clear, tooth-whitening trays, but fit more snugly next to your teeth. The length of treatment depends on the individual case. Treatment may vary from six months to two years, with an average treatment time of twelve to fourteen months. Like the brackets and arch wires of traditional braces, the Invisalign aligner moves teeth by the appropriate placement of controlled force on teeth. The principal difference is that Invisalign also controls the timing of the force. You wear each aligner for approximately two weeks, then replace it with the next aligner in your series. At each stage of treatment, only certain teeth are allowed to move. This tends to result in a shorter treatment time compared with traditional braces. Has Invisalign conducted clinical tests and studies? Yes. The Invisalign company conducted extensive testing prior to commercially releasing the Invisalign system. In addition, American universities have conducted clinical studies, and numerous clinical articles have been published by American and Australian dentists. 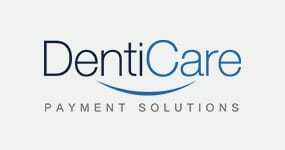 Can I claim a rebate on Invisalign treatment? Possibly. There is a government rebate available to taxpayers whose eligible net medical expenses exceed $1,500 annually. The amount of the rebate is 20% of the excess over $1,500, but cannot exceed the amount of the tax otherwise paid. The rebate is claimed on your income tax return. Invisalign may also be claimable through your Private Health Insurance fund. It is best to seek advice from your accountant to see if you are eligible. There are a few dental conditions that are difficult or unsuitable for Invisalign, including severely tipped teeth, multiple missing teeth, and teeth that have not yet erupted. In addition, patients with poor periodontal conditions or patients who want to change their facial profile may not be good candidates for Invisalign. How long will it take to begin treatment after my initial consultation? After or during your initial consultation, the staff at ABC Orthodontics will take x-rays, photographs, and moulds of your teeth. These records will be sent to the U.S. to manufacture your customised aligners, which will be sent back to us after they are made. This process will take approximately six weeks (from the time the moulds are taken of your teeth until we receive your aligners). Patients report that the discomfort with Invisalign is much less than the pain experienced with traditional, fixed braces. Most people experience temporary, minor discomfort for a few days after inserting a new aligner. They describe this as a feeling of pressure, which is normal. It is a sign that the aligners are working by sequentially moving your teeth to their final destination. Like all orthodontic appliances, aligners may temporarily affect the speech of some people, and you may have a slight lisp for a day or two. However, as your tongue gets used to having the aligners in your mouth, any lisp or minor speech impediment caused by the aligners should disappear. There is no age limit for braces. As long as you have good periodontal health, braces can be used to straighten your teeth and correct your bite. Many people over the age of 30 are choosing braces today than did before. 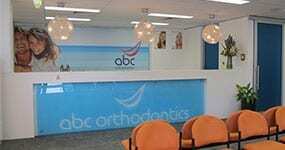 In fact, many adults choose orthodontic treatment at the same time their children receive orthodontic treatment. Occlusion is another word for your bite (how the teeth in your top and bottom jaw meet). So, malocclusion means a bad bite (a bite with problems). What are the causes of a malocclusion? The causes of malocclusion are typically hereditary, such as an abnormal relationship between the size of the teeth and the size of the jaws, but a malocclusion may also result from missing teeth or habits such as thumb sucking or tongue thrusting. That depends on your case. Orthodontics isn’t just about making your teeth straight or making them look better. Orthodontists also consider your bite (how well your top and bottom teeth meet), how well you can chew food, whether you have a tongue thrust problem, whether you will need a palate expander, and whether extractions will be necessary. Typically, both top and bottom braces are needed. However, for some cases, such as minor straightening, one set of braces may be all that is needed. Most people begin see changes in their teeth in the first two to six weeks of treatment. Will I look weird with braces on my teeth? Of course you’re self-conscious because it is YOUR mouth, but braces are so common today that most people will not pay attention to your braces. If you feel self-conscious, just remind yourself that you are doing something positive to improve your dental health and your appearance. It depends on your specific case. If you are young and your jaw is still growing, we can often straighten teeth without the need for extraction. If you are an adult, we are a little more limited. Extraction may be the only way to successfully straighten your teeth and correct your bite, however, it will depend on your individual case. At ABC Orthodontics, our goal is for you to keep as many teeth as possible, and we will not recommend a tooth extraction without considering other alternatives. If tooth extraction is our recommendation, we will often arrange a separate consultation to discuss the reasons for the extraction. That depends on your situation and your physiology. Gaps between teeth can take anywhere from a few months to a year to close. Gaps on the lower jaw tend to close slower than gaps on the upper jaw. Do I have to change my diet when I wear braces? Yes, to some extent. At first, your teeth will hurt and you will not be able to bite into hard foods, big sandwiches, or anything too chewy or crunchy. It is best to stick to soft foods until your teeth begin to feel better, usually in a week or so. Sometimes there isn’t enough space between certain teeth to insert a metal band or other appliance. Spacers help move the teeth slightly, to create space that is needed for your treatment. In a nutshell, the supporting soft tissue ligament surrounding the teeth is loosened, allowing the teeth to move to a new position. I just got my braces and my teeth feel loose. Why? Is this okay? Yes, this is perfectly normal, although it can be disconcerting. The periodontal ligament, which helps to hold your teeth in place, is loosening up. The teeth should stop feeling loose after a few weeks. If you’re very concerned about it or if the teeth feel loose for months, please let us know. Braces can hurt slightly. This is because your teeth are not used to the pressure, and your cheeks can be sensitive to metal or ceramic rubbing against them. After wearing braces for a week or two, most people report that the discomfort begins to diminish. In addition, dental wax can be used to create a barrier between the braces and any sores that develop on your gums. (The sores usually heal within a few days.) Topical anaesthetic can help with any pain. You may feel some discomfort again for several days after an adjustment. An adjustment is when we change the elastic modules (ligatures) and adjust the arch wire in order to reposition the teeth. Elastic chain can also be added to help with space closure. The adjustment appointment is also a time to monitor progress with headgear wear or elastic wear. It is designed to be a short visit to accommodate after school times. The arch wire is the metal wire that goes across your braces, from one end of your mouth to the other. You have two arch wires—one on the top teeth and one on the bottom teeth. The pressure from the arch wire is what helps to move your teeth. What is a module (ligature)? A module (or ligature, also called an o-ring) is a tiny elastic that holds the arch wire onto each bracket of your braces. Modules (ligatures) come in a variety of colours. Some brackets are self-ligating, which means that they do not need an elastic to hold the arch wire in place. Do I need to use a special toothbrush when I have braces? Yes and no. You can use a regular soft toothbrush. However, we recommend an orthodontic-cut toothbrush, where the bristles in the middle are lower than the bristles on the edges. You can also use any electric toothbrush. You might also want to get a small, spiral dental brush or a rubber-tipped stimulator to help clean food debris out from between the brackets before you brush. You will also need some dental wax because the brackets may irritate the insides of your cheeks. How do I use orthodontic dental wax? Orthodontic wax helps to create a barrier between the bracket and the inside of your cheek. This is helpful if the bracket is irritating your cheek or gums. To use dental wax, break off a tiny bit of wax from the container, squeeze it with your fingers a bit to mould it, and then place it directly on the bracket that is causing the irritation. Dental wax is non-toxic, so it’s okay if you swallow it. Wax tends to break down over time, so you will probably have to apply more after eating a meal. Remove the dental wax before you brush your teeth. How do I floss my teeth with braces on? It’s a little tricky at first. You must thread the dental floss under the arch wire between each tooth, floss, and then remove the floss. Repeat for each tooth. You can use any type of floss that is comfortable. Most people attach the floss to a plastic needle, called a floss threader, or use floss that has a stiff end. I seem to have excess saliva now that I have braces. Why? Excess saliva is actually very common. Apparently your mouth mistakes the feeling of the brackets on the inside of your cheeks for food and sometimes produces extra saliva to help digest it. This generally diminishes with time. Suddenly I’ve developed gaps between teeth. Should I be worried? It is very common for your teeth to shift and develop gaps while treatment is underway. Your bite will change many times during your treatment. Remember that any strange gaps or bite problems will be resolved by the time your treatment is finished. If you are concerned, mention it to us on your next visit. Yes, you should brush after every meal because food easily gets stuck in and around the brackets. This can cause tooth decay, gum disease, and bad breath. ABC Orthodontics provides you with a kit at the start of your treatment to allow brushing at home, school, and work. Each brushing should last at least three minutes, the amount of time needed to brush each surface of each tooth and to make sure there is no food debris or plaque. We provide a three-minute egg timer to help you time this. This is especially important for your night-time brushing. We also recommend a nightly fluoride mouth rinse after you have brushed. I don’t want to wear my headgear during the day. Why can’t I wear it only at night? Nobody likes to wear headgear but it serves a specific purpose in your treatment. If you don’t wear it for the number of hours recommended by your orthodontist, your treatment won’t progress as fast, and you may end up wearing the headgear for many additional months. Elastics help fine-tune the alignment of your teeth and bite. There are many different ways that elastics are worn to address specific treatment needs. You should wear the elastics for the number of hours that your orthodontist recommends in order for your treatment to progress properly. Most people take elastics out before a meal, then brush and replace them after a meal. If possible, put a ball of dental wax at the end of the wire to stop it from poking you. You can also try a bit of cotton. Call us at ABC Orthodontics and ask to come in, so we can clip the wire as soon as possible. The wire pokes you because your teeth have moved, displacing the end of the arch wire. Although this is annoying, it’s a good sign that your treatment is progressing! Do ceramic (non-metal) braces become stained? The brackets themselves usually do not stain. It’s the elastic modules (ligatures) that hold the arch wire to the bracket that can become discoloured from certain foods. These ligatures are changed at each adjustment, so you will regularly get new ones throughout your treatment. Which foods stain the modules (ligatures) of your braces? Foods like curry, mustard, black coffee, and red wine create the worst stains. What colours of modules (ligatures) or power chains resist stains the best? Clear or white modules (ligatures) show yellow stains the worst. The best colours are smoke, pearlescent, glow-in-the-dark, and any dark vibrant colour. Light blue turns a pleasant teal colour when stained by curry (that is, blue modules plus yellow curry make greenish-blue modules). It’s probably best not to use whitening toothpastes until after your braces come off. If you use whitening toothpaste on a daily basis, the teeth underneath the brackets may not be as white as the rest of your teeth when your braces come off! Yes, you can smoke tobacco in cigarettes, cigars, or pipes; however, all these activities will stain your modules (ligatures) and may possibly stain ceramic brackets. Is it okay to have braces if you are pregnant or plan to become pregnant? Yes, many pregnant women have had orthodontic treatment. Your teeth may be a bit looser than average because of the hormonal changes and the effect on your periodontal ligaments. However, as long as you maintain good periodontal health, it shouldn’t be a problem to wear braces when you’re pregnant. Can I wear braces if I snorkel or scuba dive? Yes, you can. It is probably best to have the braces on for a few months before snorkeling or scuba diving, so you can get used to the extra hardware in your mouth. Can I wear braces if I play a wind instrument? Yes, you can. Several companies make mouth guards specifically for this purpose. Ask your orthodontist for a recommendation. How can I keep my braces clean after eating at a restaurant? Most people who have braces carry a little dental kit to help them in such situations. A dental kit should contain a dental pick, some floss, floss threaders, a toothbrush, and some toothpaste. A travel cup is also a good idea. How can I cope with mouth ulcers when I have braces? There are many ways to cope with ulcers. If the sore is near a bracket, you can put some dental wax or dental silicone on the bracket to create a barrier, and then apply some ulcer medication to the sore area. Ulcers usually resolve in 7–10 days. If yours is not resolved by then, come in and let us determine if there is a more specific cause. A clear plastic retainer (also called a trutain) is sometimes placed on the upper teeth one or two days after the braces are removed. It is normally worn only at night and lasts an average of 24 months. After it wears out, the orthodontist may replace it with a traditional wire retainer. Some people have commented that this type of retainer can be uncomfortable. A bonded retainer is a wire permanently bonded to the teeth with composite material. It is normally placed behind the lower teeth after the braces are removed. Sometimes this type of retainer is used for the upper teeth; however, this is usually not possible because it can interfere with the patient’s bite. A bonded retainer will remain in place for several years. A wire retainer (also called a Hawley retainer) has the added benefit of being adjustable, which makes minor tooth movement possible. Why do I have to wear a retainer after my braces come off? A retainer helps keep your teeth in their proper new positions. It takes many months for your periodontal ligaments and bone to stabilise and to be able to keep your teeth in place. It’s important to wear the retainer exactly as your orthodontist recommends, otherwise your teeth may shift. You should brush your retainer each night as directed by your orthodontist. You can also use a retainer cleaner, or even denture cleaner (on a Hawley retainer), to keep it extra clean.